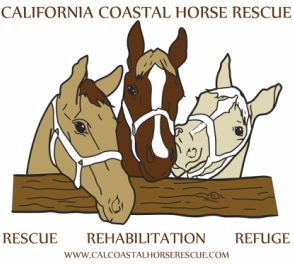 Grants generously provided by many foundations to California Coastal Horse Rescue have allowed CCHR to fund specific projects and have helped to improve and enhance the lives of the horses who have found sanctuary through the Rescue. CCHR has also received grants to fund general operations. We welcome the opportunity to meet with your foundation representatives to discuss CCHR and the work it does as it strives to help all horses in need. The CCHR staff and Board of Directors would be honored to meet with you in person to discuss CCHR's goals, plans and projects and to offer you a tour of the CCHR facilities. Please contact CCHR at (805) 755-5732 or at cchrgrants@outlook.com for further information. We look forward to meeting with you and working to create a partnership that allows for the CCHR promise of offering rescue, rehabilitation and refuge to continue to grow and thrive.